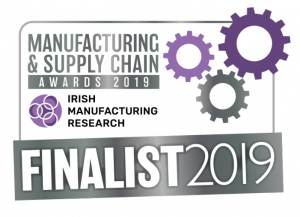 The Irish Manufacturing Research (IMR) organisation have announced their finalists for Contract Manufacturer of the Year. Nutribio is delighted to announce we are included in the four finalists for the award. The awards highlight the implementation of smart thinking to enable competitive manufacturing. Recognising Ireland’s capacity to deliver world class manufacturing and attract inward investment. 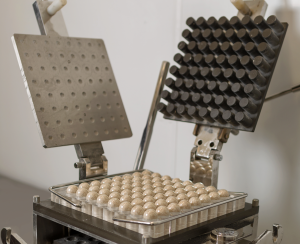 Nutribio has been contract manufacturing for international customers for nearly a decade. Emphasis on Nutribio’s contract manufacturing capabilities have increased in recent years with an increase in customers and products exporting to countries all over the world. Our international recognised UFAS Quality certification ensures the highest levels of integrity are maintained. Nutribio stores finished goods until your customer is ready to receive the order. When products are ready to ship we work with all of the relevant authorities to provide safe, cost effective and quick worldwide deliveries. Our national sales team can support market share growth through sales and promotional activities in Ireland.